You know her, and you love her. 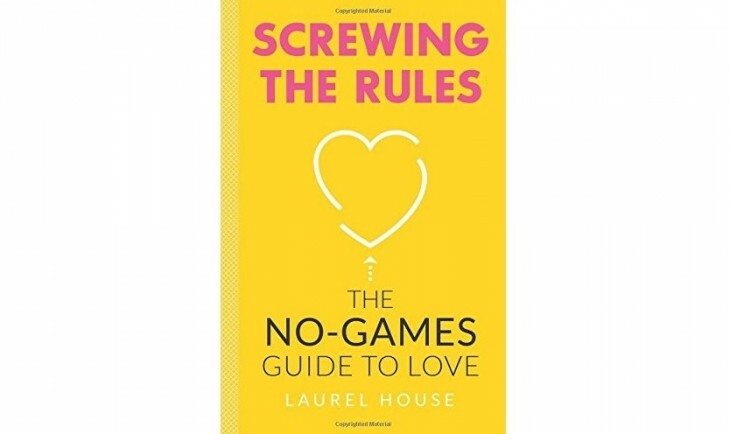 She’s Laurel House, and she’s the queen of all things “powerfully feminine,” as she encourages women to be in her new book Screwing the Rules: The No-Games Guide to Love. This California cutie is an international dating coach with clients ranging in age from 16 to 82. She was also featured on MTV’s Made as an “It Girl” mentor. Listening to House’s advice is like talking to your best friend but with more expertise, or maybe a therapist but with a better sense of humor. If you want to learn to embrace your true self and subsequently find your true love, then Screwing the Rules is for you. Here at CupidsPulse.com, we had the chance to interview the love expert on all things flirty, fun, and for-real. First, what inspired you to write Screwing the Rules? I have been a prolific dater for a very long time. I was first married at the age of 21, and that lasted for six months. I was married again at the age of 23; he proposed after three months, and we were married for three-and-a-half years. Since then, I’ve been engaged a third time and proposed to nine times. From those experiences, I have made a lot of mistakes. I used to “follow the rules.” I had an idea of what you’re “supposed to do” in order to play the dating game, which meant keeping my information close to my chest, not being vulnerable at the beginning, being picture perfect, and putting on the facade of what I thought the guy would want. I got a lot of guys to fall in love with me, but I wasn’t being true to myself, and therefore, I wasn’t being true to them. I ended up hurting people because they were in love with “perfect Laurel” and I didn’t love them back. I started to analyze my mistakes and people’s responses to them, and I realized there was a pattern, so I came up with a strategy to change it. I started coaching…and people started taking my advice and having different results for the first time. That led me to write Screwing the Rules. How would you say your personal experiences and past loves influenced your writing? The publishers basically wanted me to reveal my vulnerabilities, insecurities, mistakes, and shame in this book, and I realized, “I’m asking my readers to reveal the same things to me, or at least to themselves, so I need to set the expectation.” I wrote the whole thing, and then afterward, I injected my personal stories. I’m actually pretty nervous for some of my ex-boyfriends to read it! While writing it, I felt like Diane Keaton in the movie Something’s Gotta Give, where at the end she’s sitting at her beach house typing and sobbing. It was hard to go back and remember the bad relationships, the hurt, the things I’ve been called, and all of the things I went through in order to get here. What are some commonalities you’ve noticed as a dating coach? Even when it comes to making online dating profiles, we don’t focus on our needs; we focus on our wants, like “I want him to be hot; I want him to be rich; I want him to be funny; I want him to like hiking.” Well, what do you need? “I need him to respect me; I need to respect him; I need him to admire me; I need to admire him; I need him to show up when he says he’s going to.” The problem with not voicing your needs is that it causes resentment. Second, we’re afraid of our vulnerability. We believe it’s weakness, but it’s not. Look at the people you’re closest with and most connected with. Do you love them because they’re pretty, rich, or funny? Probably not. You love them because you have a mutual connection and understanding, often due to hardships. You love them because of their quirks that they often see as weakness. So what you’re doing by not being vulnerable is withholding that. Women often say, “He hasn’t proven himself yet.” Okay, how much more time are you willing to waste? In the book, I talk about the “U Strategy,” which refers to this idea of “up, down, up.” On a date, you talk about the good things (up), then the depth and vulnerability (down), and then how you came out of it a better person (up). We love that you encourage your readers to be “powerfully feminine.” Why do you feel that this idea is so important for women as they date? How can women channel this sort of femininity? There are three types of femininity: the needy feminine, the masculine feminine, and the power feminine. The power feminine is the most powerful because you’re being true to your core values, your needs, and your femininity. You can be a woman and be soft and nurturing but also say exactly how you feel. We tend to couch things because we’re trying not to hurt other’s feelings, but when we do that, it comes off as manipulative. Instead, just be you. Be your beautiful, feminine self. Allow him to take care of you. As much as I am a feminist, I also believe in gender roles. You can learn more about Laurel on her website screwingtherules.com and keep up with her on Twitter: @QuickieChick and @NoGamesLove. Don’t forget to pick up a copy of Screwing the Rules: The No-Games Guide to Love, out today!